Nick Plebani currently serves as the firm’s Director, specializing in legislative research, advocacy and strategy. Since joining the firm in 2015, Nick has advised the firm’s clients on policy areas including the environment and trade. Nick also provides the firm’s clients with regular updates on key federal regulatory and legislative developments. 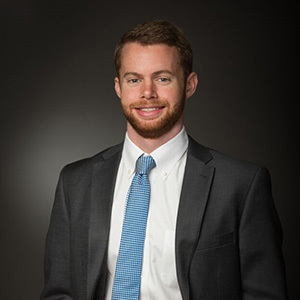 Prior to joining Gephardt Government Affairs, Nick worked as a government affairs assistant at G2G Consulting, where he provided federal advocacy work on issues of public health and appropriations, in addition to working with federal agencies to inform clients of relevant regulatory reforms. Nick also interned in the office of Congressman Robert Andrews (D-NJ), where he performed healthcare research and wrote policy proposals, including a Medicare reform that was presented to the House Ways and Means Committee. In 2012, Nick worked in the Podium Operations division of the Democratic National Convention, where he coordinated media appearances and speech writing and rehearsal sessions for Representative Dianna DeGette (D-CO) and Senator Charles Schumer (D-NY). Nick graduated from Wesleyan University with a degree in American Government and Public Policy. He is a native of Washington D.C.